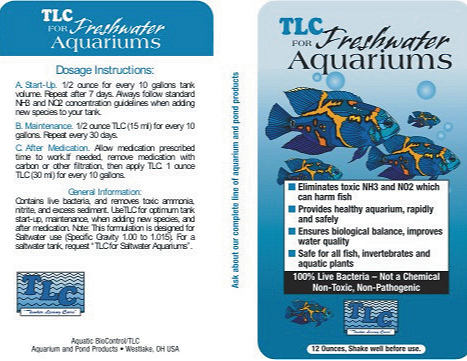 The flagship TLC freshwater aquarium product. Completely natural and safe - not a chemical. Use to rapidly cycle new tanks, when adding new species, and for tank maintenance. Eliminates toxic ammonia and nitrite, helps minimize sludge build-up.